Google is headed for a showdown with Beijing after the search giant said it was no longer prepared to censor search results on the Chinese version of its search engine. In a blog post on Tuesday, David Drummond, Google’s senior vice-president for corporate development and chief legal officer, said the decision followed a “highly sophisticated and targeted attack” on its systems. The attackers, for the most part, were trying to access the Gmail accounts of Chinese human rights activists, the company said. 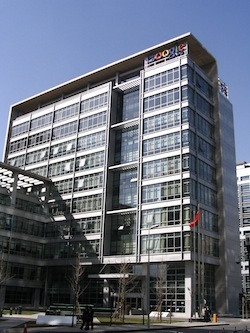 Drummond said that when Google opened an office in China four years ago, it made it clear to the Chinese authorities that it would “carefully monitor conditions in China, including new laws and other restrictions on our services”. He said the attacks on its systems, combined with attempts in the past year to further limit free speech on the Web, had led Google to conclude that it should review the feasibility of its doing business in China.